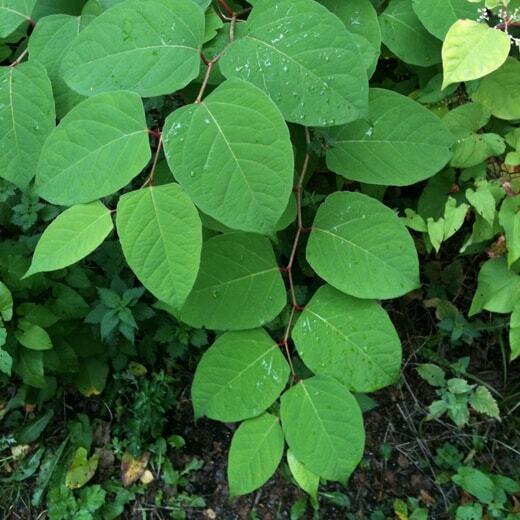 Japanese Knotweed is easily confused with other plant species that are similar in appearance. 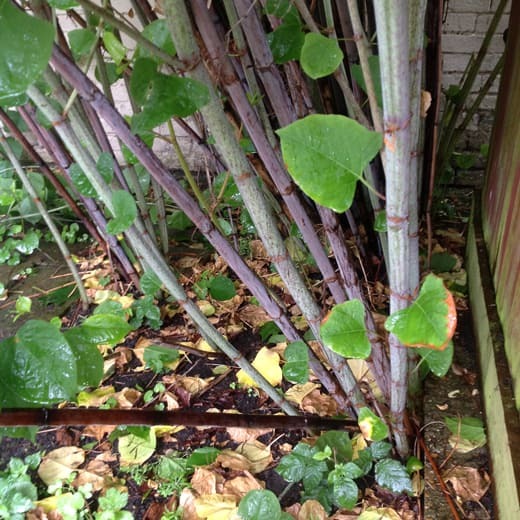 Our Japanese Knotweed images should help you to identify what Japanese Knotweed looks like as well as key defining characteristics such as its shoots, buds, leaves, flowers and stem. 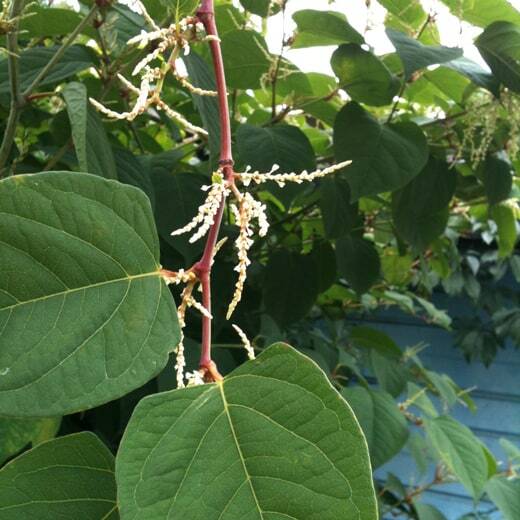 Japanese Knotweed can be difficult to identify if you don’t know what you’re looking for. Like many plants, it undergoes growth cycles that changes its appearance throughout the year. 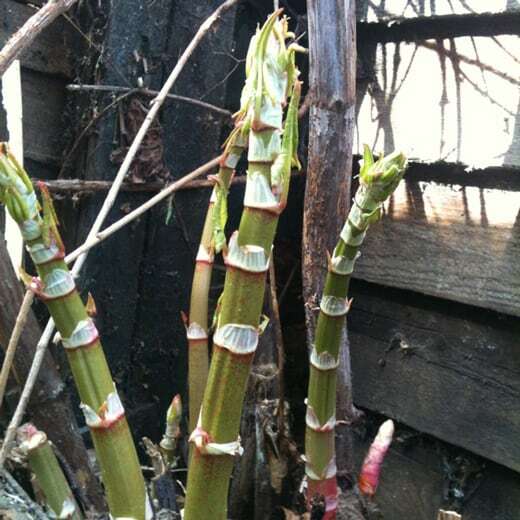 View our Japanese Knotweed pictures to learn how to identify the plant. When looking for Japanese Knotweed buds, look out for small red buds, which will sprout from the crown of the plant. The buds are bright and cherry-like, making them easy to spot. 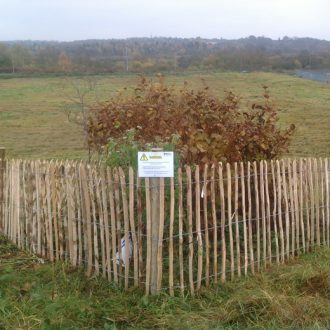 At this point, it can be tempting to try and remove the Knotweed yourself, but should be avoided. While above ground growth is small, it is important to remember that a large network of roots already exists beneath the ground. In early spring, Japanese Knotweed shoots take the form of reddish-purple shoots sprouting from the ground. Left untreated, these will rapidly grow into the distinctive Knotweed canes, but at this early point they are easily confused with the vegetable rhubarb. This is a mistake we have seen many surveyors make when examining properties, reinforcing the need for accurate professional Knotweed examination. This is the ideal time to treat Knotweed. The shoots are still small and the small size of your infestation means treatment options are flexible, which is why identifying Japanese Knotweed early is vital. During the summer they will produce thick, leafy vegetation and sometimes small white flowers. This is peak growing season where it grows very tall, very fast. It grows as easily through brick, metal piping, and concrete as it does soil. At the end of autumn and over the winter period, the stems shed all flowers and vegetation, leaving them as brittle, brown canes. Despite appearing dead during winter, the rhizome network beneath the ground is still very much alive, which allow the plant to flower again in spring. Simply pulling the brittle canes or the live plant from the ground is not enough to prevent the advanced Japanese Knotweed root network from growing back again. By the end of the summer, those small shoots can reach up to 3 metres in height, with root systems up to 3 metres deep and 7 metres across. 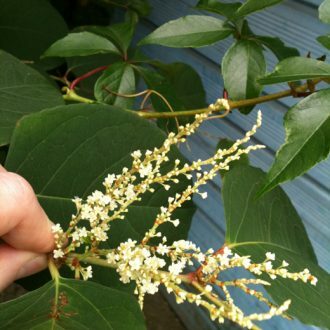 By this stage, you should look out for Japanese Knotweed flowers which appear as small creamy white flowers that cluster together on the vines. These flowers will remain on the plant until late autumn where they die as the stems die back. Japanese Knotweed leaves are extremely distinctive. In summer the leaves grow and are spread in a zigzag shape on the stem, with the individual leaves being bright green in colour. The leaves grow in a heart-shape, having pointed tips and straight edges. Leaves on the Japanese Knotweed plant look different within the different seasons, being a light green, or red colour in spring. The leaves maintain their vivid green colour until autumn where they turn brown and eventually die. 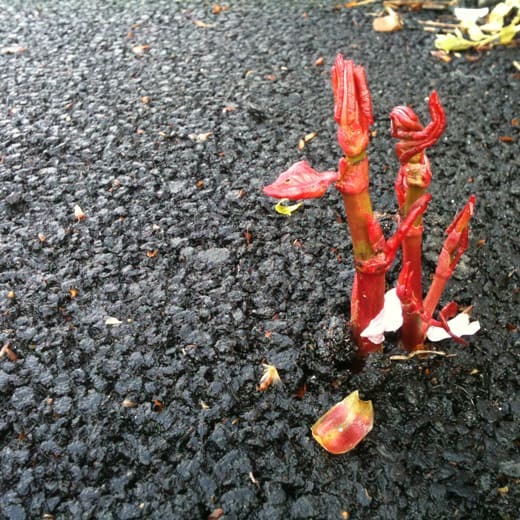 Unsure if you have Japanese Knotweed? 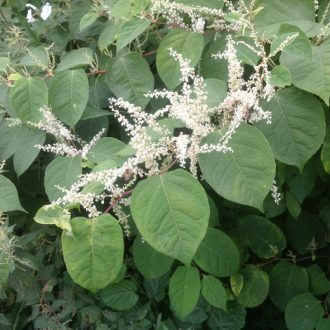 Send us your Japanese knotweed photos and our specialist team will review it and tell you if we believe you to have Japanese knotweed within 24 hours.